Historic Denver receives annual program support from the following donors. We thank them! Without their ongoing support we would not be able to continue our important advocacy, education and preservation work. To become a sponsor of our website, please contact our office at (303) 534-5288 ext. 7. 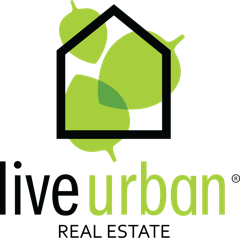 Live Urban Real Estate was founded in 2006 by folks who love Denver! We’re proud to be a locally owned and operated small business, with our roots firmly planted in urban Denver. We’re not a corporate franchise or have ties to a big out-of-state real estate empire. We’re all about supporting local business and entrepreneurs in and around “our” community. We believe banking should fit your life. Not the other way around. Our Cafés are inviting spaces where you can go to bank, get answers to your financial questions, recharge your devices, or simply connect with people. All with a handcrafted Peet’s® beverage and local pastry in hand. Check out a short video about the Capital One Café experience. It’s one-of-a-kind, and you’ll get to meet a few of the friendly, passionate people who help bring it all together each day. Welcome to a refreshing new way to bank. Sopra Communities, Inc. was founded by Elizabeth Caswell Dyer and Michael LaCount in 2010. We are a local company dedicated to providing property management services in the Denver Central Business District and surrounding neighborhoods. Casey Miller is an Annual Sponsor of Historic Denver, Inc. Casey leverages his affiliation with LIV | Sotheby’s International Realty to exceptionally market homes in all price points – with an emphasis on historic and architecturally significant homes in and around Denver. He enthusiastically promotes the lifestyle that comes with living in homes of various styles including the classic Tudors and Bungalows of Bonnie Brae, Platt Park and Washington Park (where he lives in a classic 1930’s tudor home with his wife Rebecca, daughter Noelle, and dog Madison) to the large estates and Mansions of Capitol Hill, Cheesman Park, Congress Park, Highland, Mayfair, Montclair, Park Hill and other central Denver neighborhoods. A fifth generation native, Casey has established very strong connections within the real estate community which allow him to market homes as no one else can (through his network), and he often times knows of properties that are for sale, but not yet listed in the MLS. Casey joins the board of Historic Denver, Inc. in 2012 and has been active in the One Past 5 Group since its formation in 2009. Casey is a full time professional and prides himself on providing the highest level of service to help you accomplish your goals. Serving the Denver Metro and surrounding areas for 35 years Rocky Mountain Chimney Solutions specializes in historic chimney repair and maintenance on residential and commercial properties. CSIA, NFI and NFPA certified as well as being in good standing with the Better Business Bureau. We offer free Level I inspections and estimates. Since 1995, FORETHOUGHT.net is a leading locally owned and operated IT and communications service provider, offering a portfolio of enterprise-level cloud-computing, Internet, voice and data solutions for Colorado businesses. FORETHOUGHT.net specializes in delivering the FORETHOUGHT.net experience via honoring its customer, delivering on its promise, and being vigilant about constant improvements. FORETHOUGHT.net believes businesses simply need internet and phone to work consistently and that they should only pay for what they need and use. The FORETHOUGHT.net promise is to provide businesses with well designed technology solutions combined with its ethical partnership so technology feeds businesses instead of the other way around. FORETHOUGHT.net specializes in earning its long-term loyalty by consistently providing a professional response system. Its state-of-the-art data center provides high–density cloud hosting customized to the needs of each client so customers only pay for what they use. To learn more about what to look for in a Colocation Provider, check out our Top 10 Items to Expect from a Colocation Provider. To learn more about FORETHOUGHT.net, you can visit our website or call us at 303-815-1125. In 1988, greater Denver metropolitan area voters created the Scientific & Cultural Facilities District to provide a consistent source of unrestricted funding to scientific and cultural organizations. Since then, the SCFD has funded over 300 organizations via the 0.1% retail sales and use tax (a penny on every $10). And the SCFD is a great value! In 2000, the average per capita SCFD tax collection was $14.58. The SCFD facilitates the annual distribution of $38 million in tax funds to organizations that provide for the enlightenment and entertainment of the public through the production, preservation, exhibition, advancement or preservation of art, music, theater, dance, zoology, botany, natural history or cultural history.